Buying a good memory foam mattress is very important. 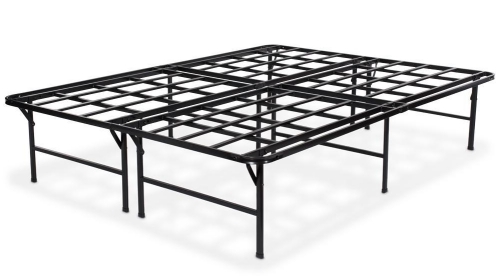 However, you can only enjoy the utmost benefits from your mattress if you have the right memory foam mattress foundation. The foundation helps provide adequate support for the mattress and should be strong, solid and durable. You should consider a number of factors when buying your foundation for memory foam mattress to help you getting the best value for your money. This guide will provide you with some essential tips to help you in your selection. Firm and supportive: – A good memory foam mattress foundation should be firm and supportive. This makes it possible to bear your weight when you sleep without affecting the firmness of your memory foam mattress. 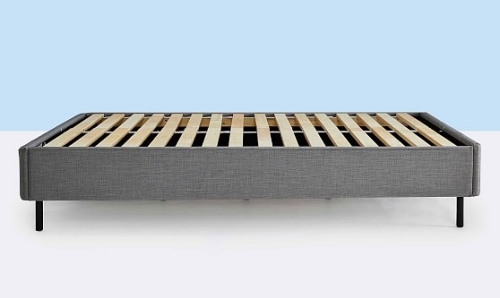 Memory foam mattresses are normally denser compared to other mattress materials and therefore requires sturdy foundation that is capable of bearing the weight of both the mattress and the sleeper. Size: – The bed frame for memory foam mattress that you choose should be of the same size as your memory foam mattress. It should not be too large or too small but your mattress and mattress toppers should adequately fit therein without being forced. This will help prevent your mattress from sagging or slipping from side to side during sleep. Proper ventilation: – When choosing a memory foam mattress bed frame, it is important to ensure that its surface is absorbent and untreated to enhance ventilation under the mattress. This will help prevent cases of mould growth and other damages that can easily affect the health and warranty of your mattress. Easy to assemble: – When selecting the foundation for memory foam mattress, it will be important to consider the assembling process. A good foundation should have no assembling complications as this could pose a challenge whenever you need to relocate it from one room or place to the other. Check the slate spacing: – During your purchase especially when buying a foundation with slates, it will be important to look at the slate spacing. The space between slates should be less than 3 inches to ensure that the mattress does not sink between these spaces while offering adequate support. This increases your memory foam mattresses’ durability. Cost: – Memory foam mattress foundations vary in prices based on the material and the dealers. It is good to consider the price but don’t simply go for the cheapest foundation. You should look at all the above factors and use them to determine the best price based on your budget. Warranty: – All factors considered, it is good to look for a memory foam mattress foundation that has a prolonged warranty. This will help in case of any damages or issues arising from manufacturing related issues. Foundation for memory foam mattresses are normally made from wood or metal frames. The choice of the material will be based on your preference. It is however important to look for a foundation that is attractive and have the right height. You could also consider things such as underneath storage if you are concerned about space and storage.